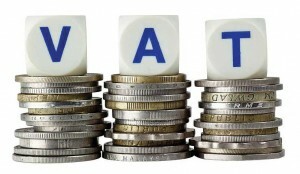 Value Added Tax (VAT) rises on the Islands’ horizon. By Lindsay McCann, Director, Morris Cottingham & Co. Ltd.
On July 19, 2012, as the Acting Governor signed the 97-page Value Added Tax Ordinance into law, he ushered in a new era of revenue collection which will see the economy of the Turks & Caicos Islands navigating into uncharted territory. The move to introduce Value Added Tax, or VAT, proved highly unpopular among local politicians and business people and generated rancorous public debate. The case was made emphatically by businesses that the tax would be costly and complex to implement, and that it was not necessary. The TCI Interim Government demonstrated strong resolve in the face of this significant opposition, justifying the proposed tax on the basis that it would broaden the tax base and bring reliable and steady revenue into government coffers. Value Added Tax rises on the Turks and Caicos Islands’ horizon. With the return to elected government on November 9, 2012, the debate is far from concluded—repealing VAT is front and centre on the new government’s policy agenda and the private anti-VAT lobby remains very active. Realistically, though, a repeal is unlikely given the unpalatable alternatives of income and property taxes it would have to be replaced with and the commitment of Her Majesty’s Government to build a stronger revenue base for the people of Turks & Caicos. It would seem, then, that come April 1, 2013, we will be stuck with VAT whether we like it or not. This article is based on that expected reality and is intended to provide a brief outline of what we need to do about it. VAT is a tax on the value added to a service or product at each step along the journey it takes to the person who consumes it. That person, the “ultimate consumer” bears the full burden of the tax when paying for the product since the tax is based upon the full purchase price. The business that sold you the product or service pays the tax it collects to the government after deducting the tax it has already paid to its suppliers. VAT has proven to be the darling of national revenue collectors worldwide because it is self-enforcing, collected at many different points in the economy, and difficult to evade successfully. But it has disadvantages. Low-income households tend to consume more as a proportion of their incomes than wealthy households, so VAT is considered to be regressive. To offset the impact of VAT on those with low incomes, certain goods and services have been either zero-rated (subject to VAT at 0%) or exempted from VAT altogether in the Ordinance. Electricity, water and exported financial services are zero-rated. Flour, rice, milk, sugar, baby formula, medical and educational services, seeds and animal feed are exempt from VAT. VAT is also levied when a product or service is imported, against the full cost of the product including insurance, shipping and customs duties and fees. The proposed initial rate of VAT is 11%. If the experience of other countries is anything to go by, we should expect that rate to vary in the future, and more likely up than down. VAT in the United Kingdom, for example, is now 20%. When you pay for a product or service after March 2013, VAT will be included in the price you pay. The seller must provide you with a receipt showing the total amount of VAT charged. For example, when you receive your spa technician’s bill next April, you will see an additional 11% has been added to her fees meaning the cost to you of her services will have increased 11%. The same is true of services provided by lawyers, accountants, architects, property managers, and others who are registered for VAT. VAT will have a slightly different and more uncertain effect on the cost of products, as customs duties on imported goods will be reduced in an effort to minimise price increases due to VAT. Pricing decisions are made by businesses which have to take supply and demand as well as competition into account in order to sell their products profitably. The effect of VAT on such decisions cannot easily be predicted, so we will have to wait and see whether we end up paying more for our daily bread. VAT will replace the Hotel and Restaurant Tax, as well as the tax on rental cars, so there should be limited impact on prices of hotel rooms and restaurant meals. The first consideration for any business is whether to register or not. All businesses with more than $200,000 in annual sales must register for VAT. The Interim Government estimates that 400 businesses will fall into this category. This is known as the registration “threshold.” If the business involves accommodation, such as a hotel or condominium rental pool, the threshold is only $50,000. This means that if you rent a condominium or apartment for more than $4,166. per month, on average, you will have to register for VAT. A business may register voluntarily, and there may be some advantages to doing so, mainly the ability to reclaim any VAT paid to suppliers. The second consideration revolves around record keeping. Because business acts as tax collectors, there is an obligation to meticulously record all VAT collected. In order to claim a refund of “input tax” or VAT paid to suppliers, the business will want to keep equally careful records of VAT it has paid. For businesses not used to this degree of record keeping, this will certainly be a difficult transition. VAT appears simple on the surface but it is devilish in the detail. This article provides only an overview of what we should expect. In subsequent articles we will discuss the registration process and record keeping for businesses in more depth, as well as the likely economic effect of this new tax. Once VAT has come into effect we will consider its impact on the economy. And of course, we will follow the efforts to repeal the tax and consider what avenues may exist to consign it to history. In the meantime, please visit http://tcivat.com for further information, commentary and copies of the Ordinance, Regulations and forms related to VAT. I like to pay taxes. With them I buy civilization. Oliver Wendell Holmes, Jr.